Reboli lawyer Laurie Vetere awaits the transfer of money to complete the purchase of 64 Main Street, Stony Brook. Joining her around the table (L to R) are Carolyn Slawski, Assemblyman Steve Englebright, Lois Reboli, Colleen Hanson, and BJ Intini. On October 31, 2017, a milestone was reached for the Reboli Center! After a five year journey, a permanent site to honor Joseph Reboli was purchased! When the Friends of Joseph Reboli was incorporated in 2012, an ambitious mission was designed by the three founders of the organization. Those founders, Colleen Hanson, BJ Intini, and Lois Reboli, decided that they wanted the organization to accomplish three major goals. They wanted to collect, preserve, and exhibit artwork, documents, and artifacts of significance to the Setauket artist and painter Joseph Reboli (1945-2004); to establish a non-profit public museum dedicated to the life and art of Joseph Reboli; and to establish artistic and historical programming for children and adults regarding his work as an artist and his relationship to Long Island. Artist Interview with Vicki Sawyer. Thank you, Doug Reina, for filming and interviewing! Artist Interview with Vicki Sawyer Art. Thank you, Doug Reina, for filming and interviewing! A few photos from our second Paint Night! We can't wait for Paint Night III! The Commack High School Art Honor Society Visits! Congrats to our Giclée Winner, Maureen Burke! In case you missed it! We recorded it! Here's the video of Ken Davies's 3rd Friday Interview with artist/assistants Jo-Anne Scavetta and Dan Buckley. 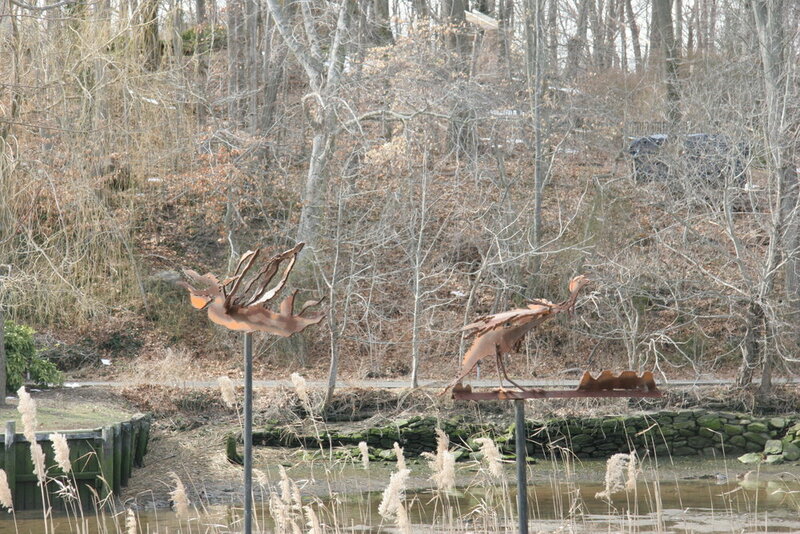 Today the Reboli Center for Art and History was excited to add four sculptures by Long Island artist/sculptor David Haussler. David’s history covers more than 30 year of commissions, gallery and museum shows, television appearances, and inclusion in a number of both private and public art collections. He has even been featured in a children’s book!